Kava, or kava kava, is a flowering shrub native to the Pacific Islands that is also known as Intoxicating Pepper and Ava Pepper. It is, in fact, a member of the Piperaceae family, which means it’s related to black pepper. In Polynesia, the fresh root is traditionally blended with pure water or coconut milk and consumed prior to attending religious ceremonies. The powdered root is added to teas, tonics and other beverages, often in combination with other herbs and spices to improve flavor. Kava is a shrub of the Piperaceae family, it is several feet high, its leaves are cordate, acuminate, with very short axillary spikes of flowers, the stem is dichotomous and spotted. Kava rhizome is in whitish or grey-brown roughly wedge-shaped fragments from which the periderm is cut off about 2 inches thick; the transverse section usually shows a dense central pith, surrounded by a clean ring of vascular bundles, narrow and radiating, separated by broadish light-colored medullary rays. Kava kava root is starchy. It has a faint pleasant odor with a bitter taste. The root is pungent and aromatic. Piper is Latin for "pepper" and methysticum is (Latinized) Greek for "intoxicating". Kava was historically grown only in the Pacific islands of Hawaii, Federated States of Micronesia, Vanuatu, Fiji, the Samoas and Tonga. Some is grown in the Solomon Islands. Kava grows naturally where there is plentiful rainfall(over 2,000 mm/yr). Ideal growing conditions include temperatures from 70–95 °F (21–35 °C) and 70–100% relative humidity. 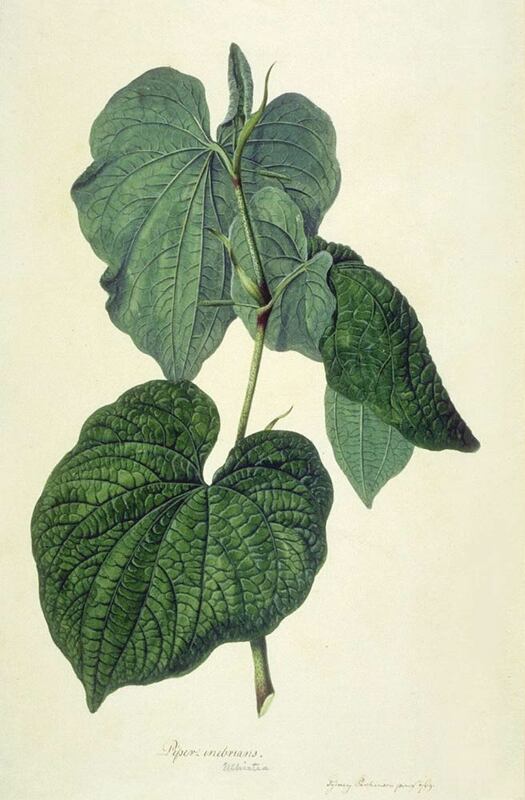 Kava is an understory crop, because too much sunlight is harmful in particular to early growth. The kava shrub thrives in loose, well-drained soils where plenty of air reaches the roots. Kava cannot reproduce sexually. Female flowers are especially rare and do not produce fruit even when hand-pollinated. Its cultivation is entirely by propagation from stem cuttings. 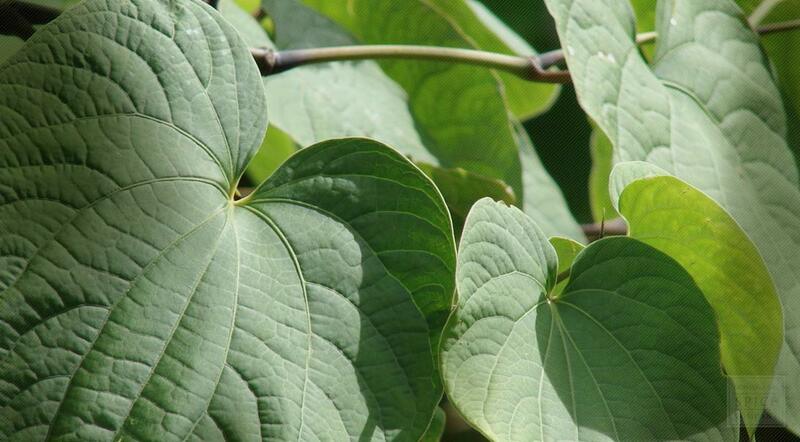 Kava plants are harvested at around four years of age, as older plants have higher concentrations of kavalactones. Recently	farmers have been harvesting younger and younger plants, some as young as 18 months. The kava rhizome is harvest, peeled, and dried. Store dried kava root pieces and dried kava root powder in an airtight container in a cool, dry place. Kava is a natural herbal beverage made from the root of the tropical shrub, Piper methysticum (kava). For 3,000 years Pacific Islanders have used kava to help them relieve tension and enjoy life more fully. Kava relaxes the body while clearing the mind, creating a state of natural well being. The tranquility that comes with drinking kava is said to evoke an atmosphere of easy sociability. Its no wonder that kava as been used by Pacific Islanders to foster communication and even as a means to conflict resolution. We buy our kava root directly from the growers so we can assure that you are getting the very highest quality kava available. This whole kava root (absolutely no stems or leaves are used!) is processed into kava powder in small batches, assuring that you will receive the freshest kava available. The extra fine grind of our kava makes preparation of the kava beverage simple and quick. A convenient re-sealable zip lock package keeps your kava fresh.